Volkswagen, Europe’s leading car manufacturer, today announces that it will be unveiling three new products – Indian Compact Sedan, Tiguan, and the Passat GTE at the 13th edition of the Delhi Auto Expo. With an exciting combination of products based on performance, best-in class safety features, build quality and innovative technology, the lineup underscores Volkswagen’s continued commitment and aggressive growth plans for the Indian market. The Delhi Auto Expo will see the World Premier of the Indian Compact Sedan (ICS) Volkswagen’s premier sub 4-metre sedan, which has been designed specifically for the Indian market, and is manufactured at the Volkswagen facility in Chakan. There has been an overwhelming response to the compact sedan category in India, and by virtue of its superior technology, class leading features and high safety standards, the ICS is expected to raise the bar in the market for this dynamic segment. The 21st Century Beetle – The recently launched ‘iconic’ 21st Century Beetle is powered by a turbocharged 1.4L TSI engine and is mated to a 7-speed DSG gearbox. 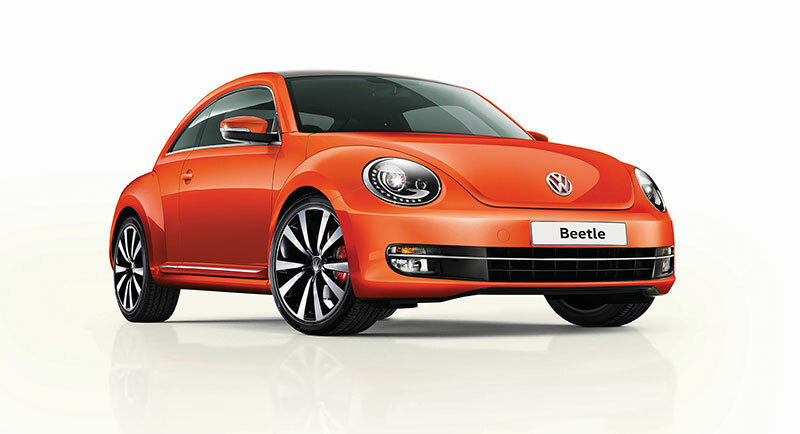 The 21st Century Beetle truly represents the future ready Volkswagen capable of delivering EU 6 emission norms.